Description. An accordion solo version of Angels We Have Heard on High, arranged by Gary Dahl for accordion (standard bass). Gary Dahl is widely known as a virtuoso accordionist as well as a composer, arranger, recording artist and music educator, with an extensive background in music theory, composition and harmony. Full resolution‎ (10,000 × 10,000 pixels, file size: 231 KB, MIME type: application/pdf) File history Click on a date/time to view the file as it appeared at that time. 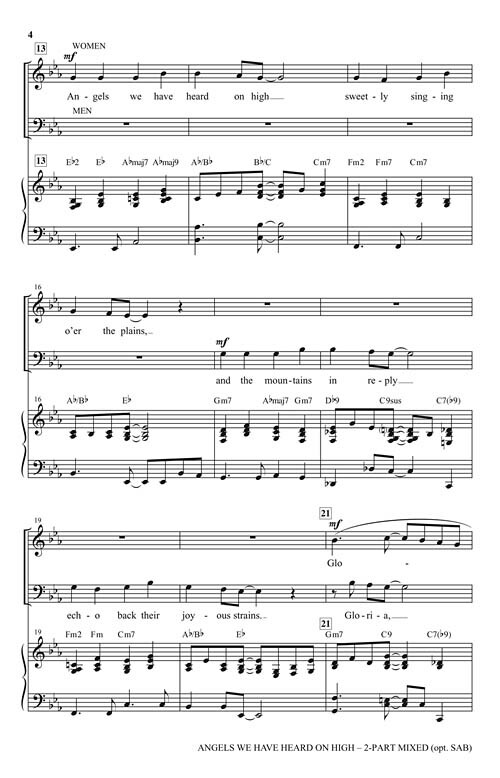 Angels We Have Heard on High A beautiful arrangement of the traditional Christmas Carol, Angels We Have Heard On High , for SATB Choir, Flute and Piano. Flute part included in the pdf.